Vitrea 160 Paint Markers can be used on glassware, vases, lamps, and window surfaces. 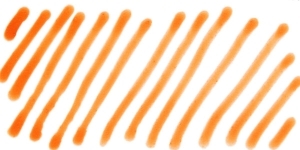 Medium-sized round tip for easy writing, drawing, outlining, and highlighting. Thermo-hardening, transparent, non-toxic, water-based paints designed for use on glass.